The highest-converting function you can have on your website. Did you know 54% of your web visitors are online outside business hours? 24/7 managed live chat from Yomdel allows your customers to engage with you at a time and place that suits them. Globally-leading response times of 15 seconds (more than three times faster than the average of 47 seconds!) and incredible user satisfaction scores of 96% make Yomdel the obvious choice if you want to delight your customers and grow your business as a result. 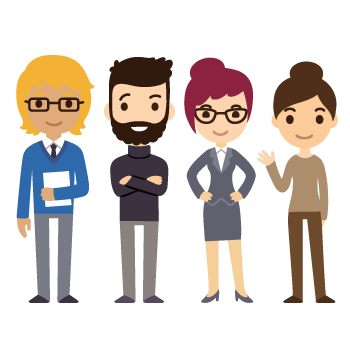 Managed live chat from Yomdel gives you a team of highly-trained, human operators who get to know your business inside and out so they can answer any question in the same way that you would. Give your customers a fantastic impression of your brand. We produce a detailed, unique knowledge bank for you that contains answers to a wide range of questions related to your business. Your dedicated operators are trained to answer questions in your tone of voice, and structured in a way that builds rapport, encourages engagement and gives customers confidence in your brand. Unlike interacting with a bot, Yomdel chats flow naturally because our human operators can fully understand and empathise with the visitor. 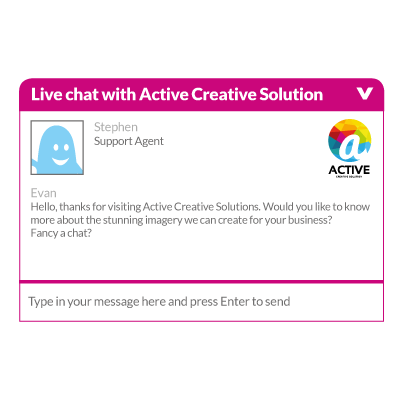 You have direct contact with a Senior Supervisor who manages the chat team assigned to your business. We send you detailed reports every month and offer guidance on how to optimise the set up in order to get the most out of your investment. Would you like to receive high-value content to help you grow your business?